Even more than that I believe 95% of the time that health tastes better. I know that is hard to envision and taste but ever since I can remember healthier ingredients and wholesome products have always tasted better, not to mention that they make me feel better. And being such a FOODIE that is a big claim. Because I do savor the world: ALL THE TIME. I honestly have met few foodies like me. And sometimes I wake up dreaming about a recipe like this one! I literally dreamt about it.. formula and all.. So I had to make it ASAP. Which I did because when you follow your gut magic happens ALWAYS. Plus I am loving my Thermomix and using it for everything because it makes life easier and I can multitask more and I only need one appliance. If you haven’t gotten on the Thermomix band wagon you are missing out! It has been called a GENIUS FOOD PROCESSOR by Dr Oz, the next frontier of cutting edge technology. Which I kind of saw coming 13 years ago since I bought my first. 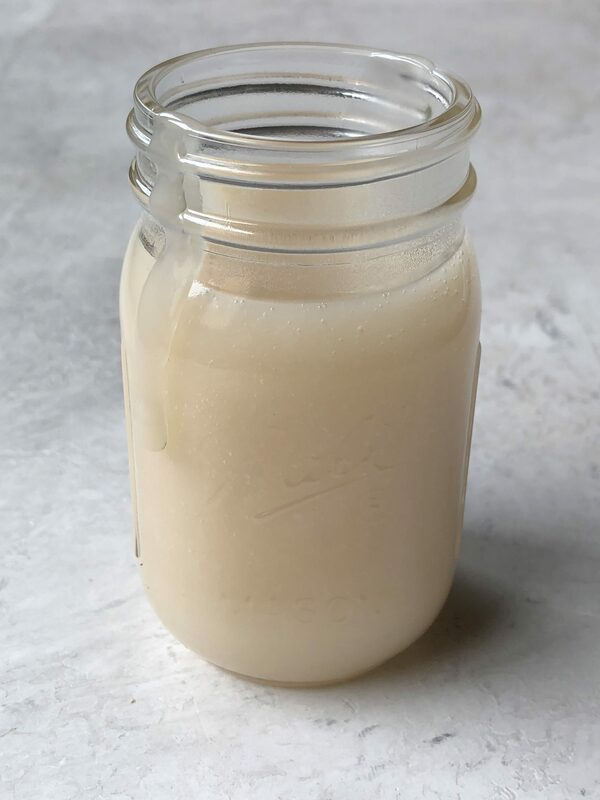 Healthy condensed milk! So perfect! Just 3 ingredients. So simple! Vegan, Paleo, Keto, Low Carb, no added sugar. Sift coconut milk, put in a Thermomix and add water, salt and vanilla and mix at medium low speed. Cook at 80 C until thick. Put in a sterilized Mason Jar. Alternatively you can make this in a stainless steel pot and mix at medium heat. But making it in your Thermomix is so much easier, faster and you can almost forget about it while you do something else. Hey Buddy!, I found this information for you: "HEALTHY CONDENSED MILK". Here is the website link: https://www.vanessamusi.com/7911-2/. Thank you.